*Disclosure: We were sent an Original Loom Boom to review (and one to give away) in exchange for our social media promotions and blog post. I don't know about you, but since we brought the Rainbow Loom into our house, we have been a bit of a bracelet factory. And I find them everywhere. Not just the bracelets, but the pieces to make them as well. I am constantly picking them up, putting them back on the boys bureaus ... into little boxes ... nothing seemed like a good solution. When the people from Loom Boom contacted me, I was excited. I had no idea a product like this existed. Sold nationwide for just $9.99 at Michael’s and Learning Express, The Loom Boom features bright-colored tubes that can hold up to 40 bracelets. 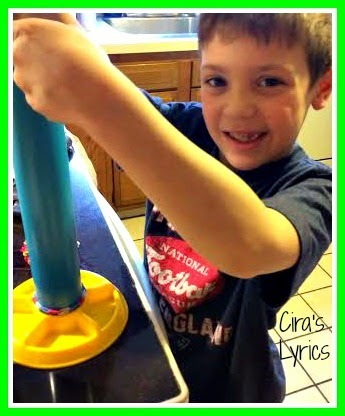 Two moms actually came up with the idea when one of their five year olds was storing his bracelets on a paper towel roll! My oldest could not wait to get one right out of the package. Before I was even ready, he was collecting his bracelets and adding them on. I really like how you can put spare pieces in the base. He keeps it on his bureau and now it's all in one spot. It's a little early, but in the last week? I haven't found any um... pieces ... in the yard. Definite win! The Original Loom Boom has a really cool contest going on this month for kids. The first ever award for loom bracelet fanatics! 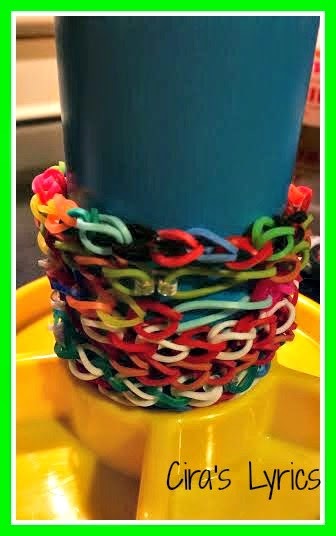 Kids can submit their creations for a chance to become a Super Loomer in the 1st Annual Loomy Awards! 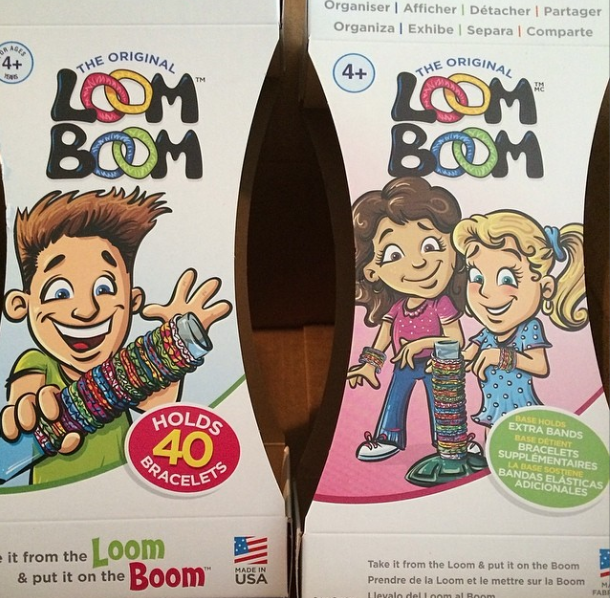 The Loomy Awards are sponsored by The Original Loom Boom, a first-of-its kind product intended to organize, display, transport and share your loom bracelet creations. 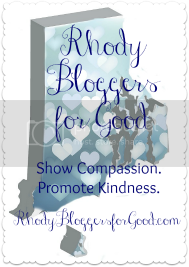 Winners will be chosen from four categories: Best Bracelet, Coolest Charm, Wackiest Wearable, and Best Loom Boom. Three winners will each receive a $250 gift card, and one grand prize winner will receive a $500 gift card! Plus, all winners will receive a special edition of The Original Loom Boom! Entries can be submitted on The Original Loom Boom’s Facebook page, and winners will be announced on a live web award show April 30, 2014.